Happy Saturday, everyone! How is your November so far?! To give a little update of me to you guys, my health condition has improved but still not fully recovered yet. Not gonna lie, the past fews months are like hell to me. I had been sick for almost two and a half months. Even though I am getting better now, I am still sometime having headache throughout the day. Since I do not want to over rely on medications, I would not take any pills if it is not that serious. Anyway, even though I am not currently working a part-time job, I am still very busy lately. There are a lot of assignments waiting ahead of me at school. At the same time, I am doing my best to take outfits pictures and share them on social media platform. It is not just about taking awesome pictures. I know my blogger friends can relate to this, right? It involves a lot of handwork like finding perfect places for shooting (under intense sunlight), editing the pictures, blogging, etc. 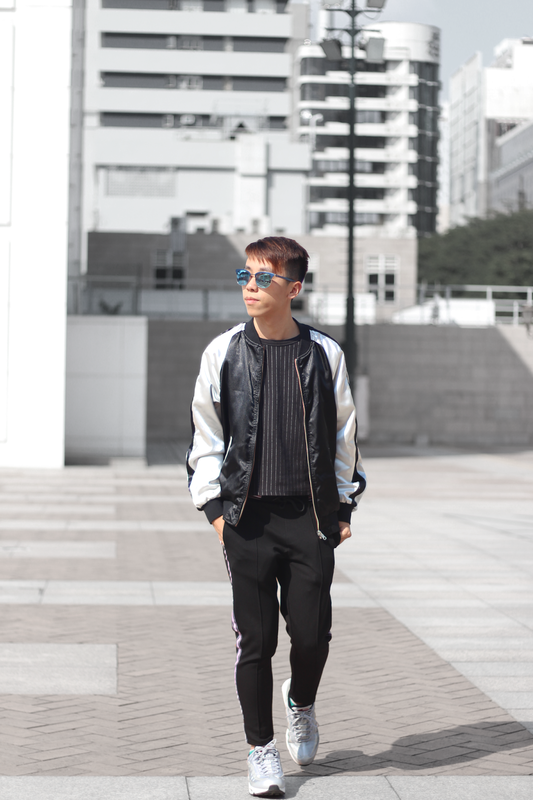 Back to this outfit, I am so excited to style these track pants I got during sale from Zara few months ago. These pants are super on trend right now. 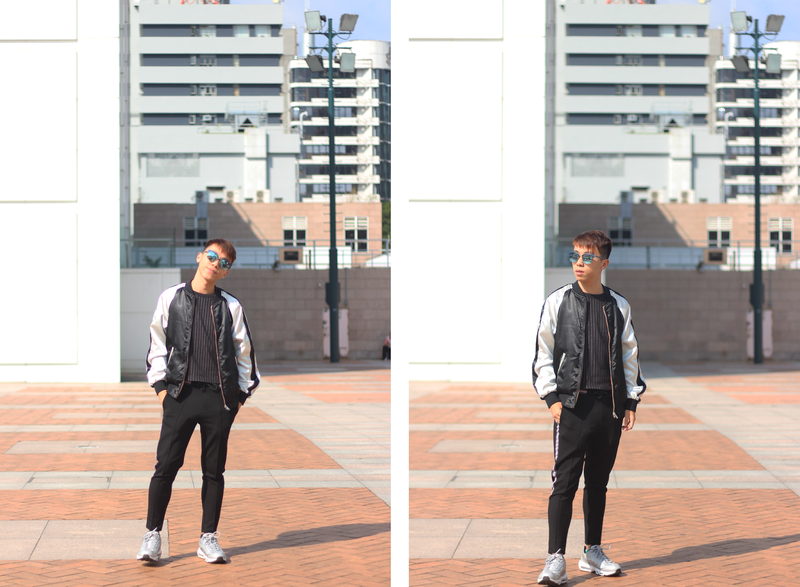 To style these track pants, my idea for the outfit is to wear something more sporty! The black and white bomber jacket goes so well with the pants. At last, I wore the nike silver bullet air max 95 to finish the look. Do you guys like this look? What are your thoughts on the trend of track pants? Let me know on the comment section! Great combination, this outfit looks great on you! I adore these track pants and the bomber is perfect with them! Track pants are so trendy right now!! You styled them so good. The bomber jacket looks great with the pants! You did a great job with this outfit. I just bought similar pants a few days ago. Can wait to style them. The total look such a brillant combo! Love how you styled this look!! Have fun trending winter wear... here I still have to stick to summer wear as the weather just doesn't seem to cool down.